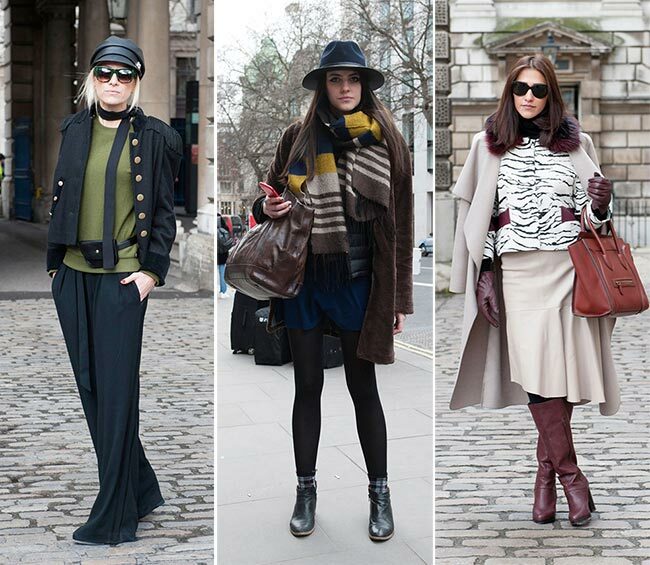 London Fashion Week fall 2015 street style was bold and bright filled with pops of color and creative clothing combinations spiced up with statement-making accessories. 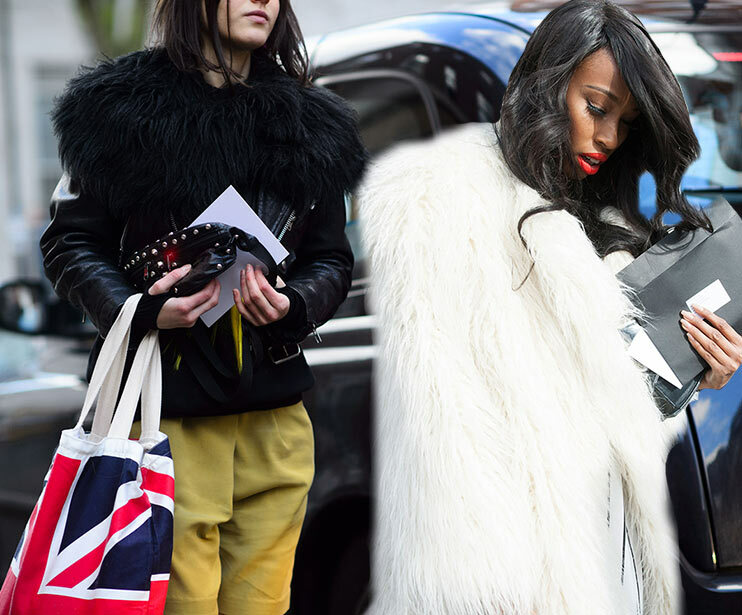 And although today is the last day of LFW, we have an array of cool inspiring looks from the runway and the streets to start planning our new season wardrobes based on the most dazzling trends of the moment. We were truly enchanted by the Seventies inspired bohemian show of Burberry Prorsum, while Topshop Unique brought some pretty feminine ensembles with a spring breath to cheer up our fall wardrobes. And although we expected to see Cara Delevingne on the runway at London Fashion Week, she didn’t walk even at the Burberry show, preferring to sit in the front row and flaunt her gorgeous style. 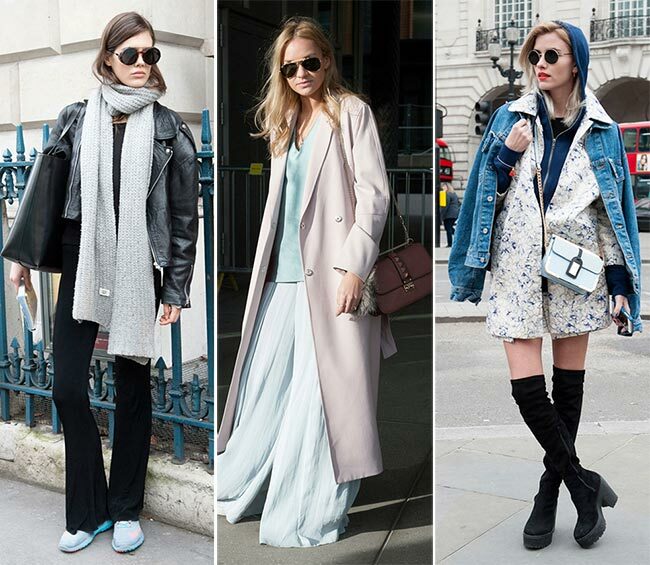 In addition to Cara, Kendall Jenner, Alexa Chung and Miroslava Duma, we also saw other It girls and fashion bloggers in the streets of London making a splash with their outstanding outfits. 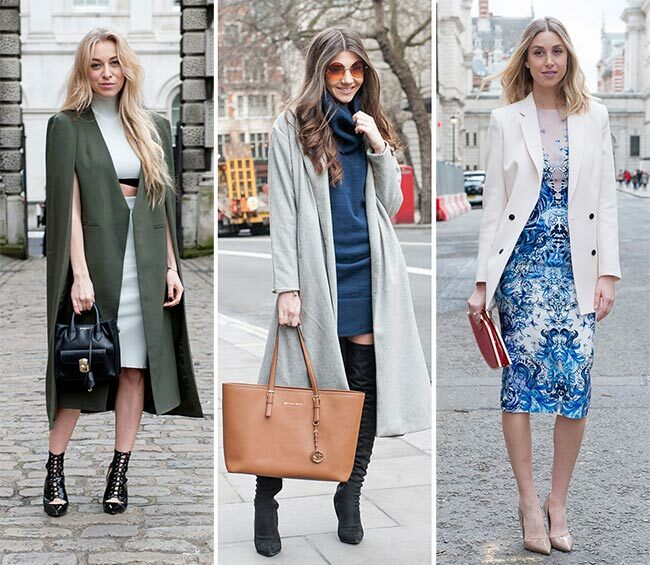 Below, we have rounded up the most impressive street style looks from London Fashion Week fall 2015 for you to ogle! While New York Fashion Week fall 2015 street style was all about ignoring the low temperatures and wearing sandals on the bare legs in the snow, London’s street style was more characterized with an inclination towards much more relaxed and calmer looks quite appropriate for the cold months. The first two days were mostly about casual jeans and shaggy fur coats, though we also saw elegant dresses and skirt suits topped with oversized coats. We surely love the easy British attitude to fashion, which is about making a statement while wearing weather appropriate clothing with big doses of personality. Although an easy British style reigned on the streets, most of the guests did manage to look bold and eye-catching thanks to their talent of playing with vivid colors and patterns. 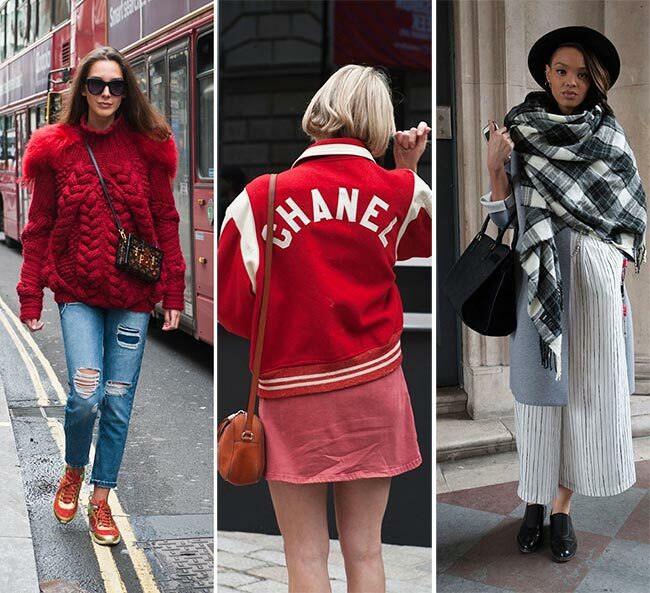 The iconic red buses of London were overshadowed by the abundance of bold reds, eclectic blues, yellows and greens that the style icons brought to the streets. You may think that it’s difficult to make a statement wearing a simple pair of ripped jeans, but when you team that with a chunky knit sweater in a vibrant red color and a pair of orange and gold running shoes, you’re going to instantly land in the spotlight with your laidback outfit that is all about small powerful details. When you have no idea how to shake the world with your iconic style, dare to experiment with textures, layering and colors and you are going to be the trendsetter in town even in a pair of vintage jeans. We were also dazzled by the beautiful game of layering some A-list models and It girls showed during the last week. The classiest and most simplistic cream pencil skirt can look utterly cool when worn with a minimalist knit sweater and an oversized coat, even when those pieces come in the same color as the skirt. Finish the look off with a pair of metallic pumps and a retro style cream handbag and enjoy everyone’s admiration. And when it’s a Burberry show, we always expect lots of models and celebrities dressed in the most iconic Burberry pieces, like Miroslava Duma and Elena Perminova did opting for their brightly colored and printed trenches, or when Cara Delevingne sizzled wearing the thigh-high printed suede boots from the latest fall/winter 2015-2016 collection. It was a breathtaking week full of vibrant impressions, excitement, new amazing fall fashion trends and cool street style looks you want to emulate right away!